Description : Ino and Sakura have unique relationship, they were to be besfriend since they were still child. 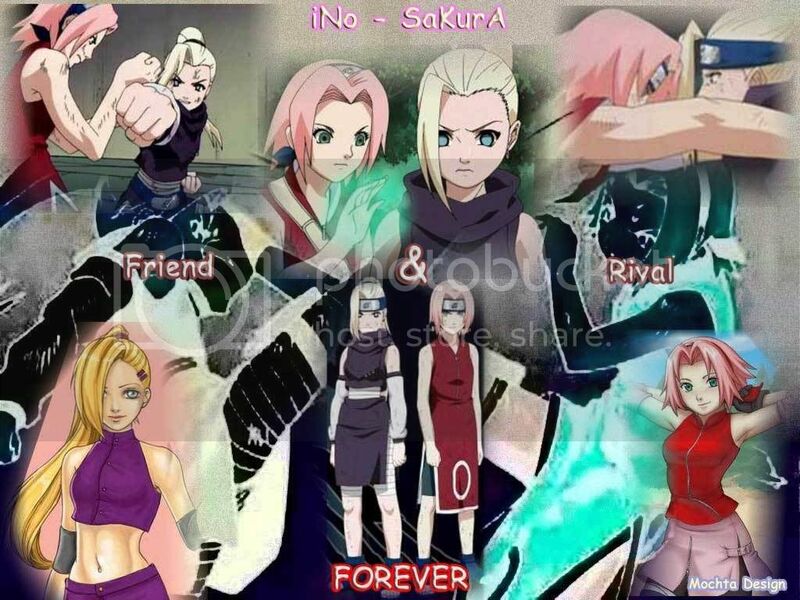 But not only that, Ino and Sakura also a rival, they always competite in everything, just like Naruto and Sasuke. Even they like with the same person (Sasuke). Its so funny see their kind of relationship. Did you ever have relationship like Ino and Sakura or Naruto and Sasuke? But more important that you have to remember, don't ever make your friend become your enemy, its so hurt. If you won't be forgot with my message, save this Ino and Sakura wallpaper to your diary, hehehe..